Google announced the launch of a new service called Google Play, "a digital entertainment destination where you can find, enjoy and share your favorite music, movies, books and apps". 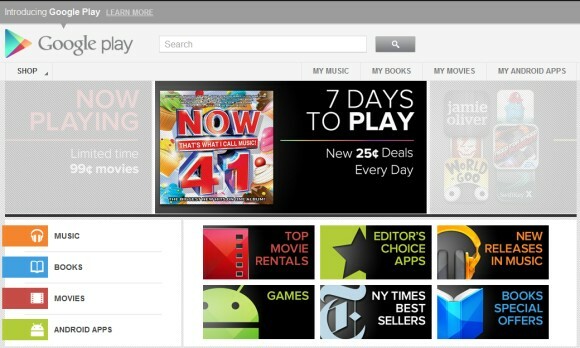 Google Play is the new name for the Android Market, an all-encompassing brand that also integrates Google Music and Google eBook Store. It's just like iTunes, except that it's born on the Web and you don't need special software to play music or read books. "Our goal with Google Play is to bring together all your favorite content in one place that you can access across your devices. Specifically, digital content is fundamental to the mobile experience, so bringing all of this content together in one place for users makes the Android platform even more compelling. We're also simplifying digital content for Google users - you can go to the Google Play website on your desktop and purchase and experience the latest movies, music and books," explains Google. The Android Market app will have a new name (Google Play Store) and this may confuse a lot of people. After all, Android Market is one of the few apps that are bundled with most Android devices. Google Play brings the same features that were available in Android Market and it's still targeted to the Android users, but the new brand no longer includes "Android". This allows Google to create a single destination for multiple platforms: iOS, Windows Phone, Google TV, Chrome / Chrome OS. "On your Android phone or tablet, we'll be upgrading the Android Market app to the Google Play Store app over the coming days. Your videos, books and music apps (in countries where they are available) will also be upgraded to Google Play Movies, Google Play Books and Google Play Music apps," informs the Google Blog. Google Play Music is only available in the US, Google Play Movies is available in the US, UK, Canada, and Japan, while Google Play Books only works in the US, UK, Canada, and Australia. That means most Google Play users will only be able to install Android apps. Google Play is a catchy name, it's platform-agnostic, flexible and could encourage more people to buy music and books even if they don't have an Android device. Android users will have to get used to the new name and the new visual identity. +Alex Chitu who is Andrew !!!! Other than the Android Market, Google's content offerings have been weak and disjointed, and I personally like this change. The visual style of the websites is very cool and it could create synergies between their different offerings. I will still get my music from Spotify and books from Kindle, and I wouldn't be interested in their books and music even if they were available in my country. But as I said, Google Play really sounds better than Android Market. Everybody on Earth has heard of Google, but even many Android phone users don't know what Android is. 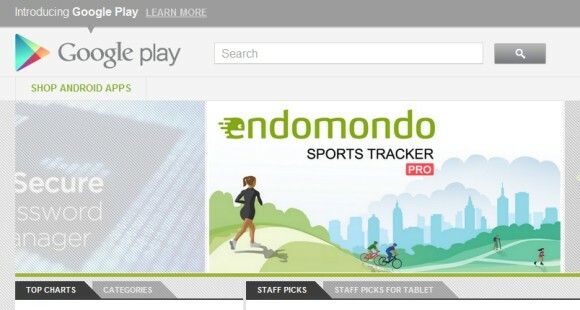 I guess the change makes sense, but the name - Google Play - is terrible . Market was much better. Ya, I think the concept of joining these content services together is an obvious one and makes total sense. Much more convenient and usable for users too. BUT why "Play", what does that mean to me? It invokes feelings about movies and music maybe but not apps or books (let alone other potential products in the future). I think Google Market would have been a far better and more obvious naming choice. You want a movie/song/book/app/etc: "go look on the market, the Google Market" that makes sense; but (esp for apps/books/etc) saying: "go look on the play thing, ya, uh, you know Google Play, ugh, nevermind". The move shows a method change from just Android towards the cloud in general, and determines an umbrella brand for that diverse content offered by Google. I think Google Play is a horrible name. 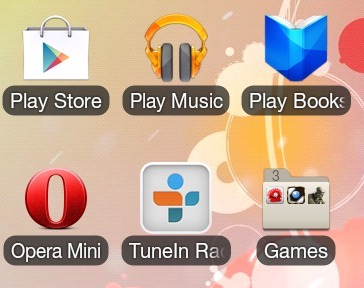 The Android Market contains much more than "play" stuff, there are plenty of serious apps. Also, it might be an "all-encompassing brand", but in most of the world, it "encompasses" only the Market. Books, movies, music, all only available in a few countries. 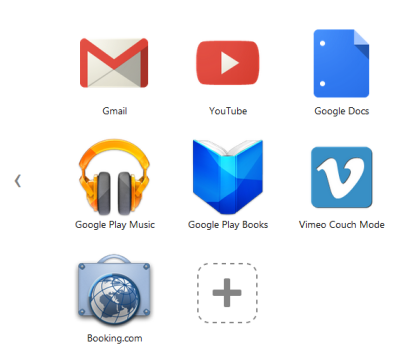 But why isn't the same theme from gmail, gplus, etc. used across gplay? The name is odd, story or market would probably have been better. Also I find it odd that they are still using the old black bar, and old theme, my guest is that Google is still unhappy about it and probably looking for another design altogether. I think the navigation in the store could be made a lot easier. The favicon seems to be badly designed: it's very hard to distinguish on the tab headers in Google Chrome, because it kind of merges with the background colour (using the default theme in Windows 7). Also it's unfortunate that my tabs for Google Music, Books and Android Market all the same favicon - they are three totally different applications, but I can't see which is which without clicking on them. "That means most Google Play users will only be able to install Android apps." Which makes it a pretty dumb name for them. So why isn't the Chrome Web Store included in Google Play? By the way, Play is not the name I would have chosen, but it may be that Larry, Sergey, and Eric have ideas up their sleeves that justify the name. Google Play REALLY! This is a horrible name. As an IT professional the site has now been classified as games by site filters, and the developers may not access the site. This was not a brilliant naming convention. Why not just call it Google Market? Google just cut themselves off from the business market. Nice app! But the others are right. Why Play?.. 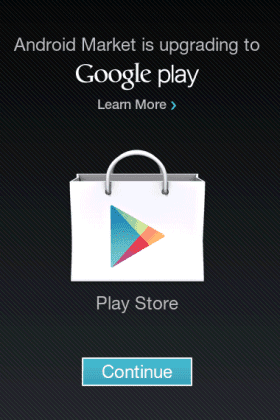 When I first saw that it has been changed to Google Play, I was, "What the heck? I somehow felt nervous coz I thought this app is all about games, JUST games. But it actually includes music, ebooks, etc. Why not retain Market? Anyway, it's totally great!!! mine isnt upgrading either....wht do i do?? how do i upgrade? I wish that Google Play can have the capability to block our stolen devices directly from the web so that the thief will not be able to use our devices after they have stole our devices.. unless if the owner of the goggle account allows it..
Google Play is the place where Android App Programmer and user intrect with each other so now user can search proper application according to requirement and android developer can understand requirement and improve apps version to fulfill user's requirement.